This is hard for me to share, but I've been keeping it relatively private for the past eight months and I need to get it off of my chest. I have cancer and I need your help. In September, I was diagnosed with Stage II or IV (medical opinions differ) Hodgkin's Lymphoma (HL), just three weeks after Allison and I got engaged. I finished 6 months for a total of 12 infusions of AVBD chemotherapy in February. Fortunately HL is a curable cancer and 90% of HL patients are cured, most with AVBD alone. AVBD got me most, but not all of, the way there. I will be one of the cured eventually, but we've got some serious work to do to get me out of the woods. Today, I begin a new treatment regimen that will consist of: 1) "salvage chemo", which will be in-patient and last 9-12 weeks (I'll be in the hospital 5-6 days, every three weeks), 2) a week-long in-patient, high-dose, continuous chemotherapy treatment, and finally 3) an autologous stem cell transplant (meaning harvesting and re-introducing my own stem cells into my body) during which I will be hospitalized for 2 weeks or so. The next 4-6 months are going to be rough and this will be the fight of my life. But don't worry, I've been training for this my whole life with football, wrestling, lacrosse, boxing, music, love, laughter and friendship. I've got this! Also, I was able to keep training for boxing the first six months of chemo and I don't plan to stop this time! 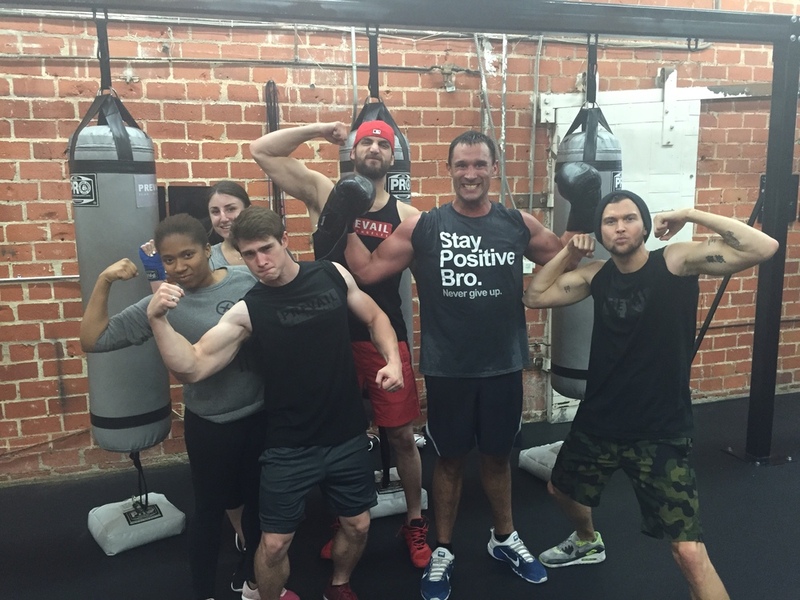 May 18, 2015 - Boxing at Prevail Los Angeles to set the tone the day before chemo! Big shout out to Prevail. They've been there for and with Allison and me at every step of the way! I'm so lucky to have them in my life. Before I go any further, I need to say this: Allison Towle is the most amazing life partner I could ever hope for. She's been there for me in more ways than words can express. She's been my rock - a mountain of a rock. I am NOT looking for a pity party. If you saw me, you'd never know I was sick. Life is so, so good to me. I am marrying the love of my life (we are actively planning the wedding), have the best family and friends I could hope for and the best dog ever, a great job and so much happiness in my life. I'm approaching this experience with gratitude rather than fear or sadness. I am so thankful for what I have and I have big goals and ambitions for my long, happy life. You are all a huge part of what I have to live for and thinking of all of you will help me beat this. During the first six months, I couldn't bring myself to publicly announce that I was sick. I don't know whether it was pride, fear... who knows... but I didn't do it. I wasn't good at asking for help. I've learned from that experience and need all of the help I can get. Below, I have outlined what Allison and I do and don't need. We would greatly appreciate your help! We have set up this website where you can 1) get updates about my progress, and 2) sign up to provide meals, rides or other items that we need. Think of it as a blog about my progress and a wedding style registry for stuff we need while I'm being treated. This should help streamline the process. We will probably register for new items on a weekly and then daily basis. We will post on facebook when we have added new items. (Note: we are working on a very advanced version of this and ultimately will launch a care technology startup company. It will build a lot on this site, but we haven't had time to get the mobile app in shape, so this is what we have for now. Stay tuned!). The instructions for the site are listed here. Please review them if you want to help. We likely won't need much while I'm in the hospital this week as they have a cafeteria and I won't be going anywhere, so please stay tuned for posts notifying you that we need help. Allison is working full-time as a corporate attorney throughout my treatment. Sometimes she's not available to get me from a to b, so I uber. If you can physically provide a ride or pick up the tab for an uber, that would be amazing. Massages, acupuncture, therapy etc... are really expensive. I've spent thousands of dollars on this stuff. My bank account is hurting. It is REALLY hard for me to ask for help with this. If you can help pay for even a portion of one of these items, it would help me a lot. If you want to help out with something for which we haven't registered, that is very kind of you! Please sign up to provide the special item on our site and we will let you know if there's a reason why we can't accept it. I don't want you to waste your money on stuff I/we can't use. I'd love to talk to young people who've had stem cell transplants. If you know of any athletes or musicians that have been through STCs that would be ideal. Review the instructions for using the site. Sign up to provide an item. You will fill out a short form and provide your e-mail address. My mom, Marion Dry, or sister, Margot Boyer-Dry will follow up with you via e-mail to confirm that you're able to provide the item. COMMUNICATION: It can be a full-time job to update everyone about what's going on. While I so appreciate that you care and want to know what's going on, I'm unfortunately unable to update everyone on an individual basis. There's limited days and times where I feel well enough to do fun things and I'd like to focus on having fun! So please follow this blog for updates. Please DO feel free to send me notes via email, facebook or send cards (these are particularly awesome). I love hearing from you. Information about Cancer, research, stuff you find about cancer on the internet etc... I appreciate the sentiment, but I am being treated by world-class doctors at UCLA that specialize in Lymphoma and stem cell transplants. They are leading world experts. I don't need any more medical or homeopathic information at this point. As stated above, if you want to send/provide something I haven't registered for, that's great and I appreciate it! Just ask us first to make sure we can use it and you don't waste your $. Most importantly, THANK YOU! I greatly appreciate your help, love and support.